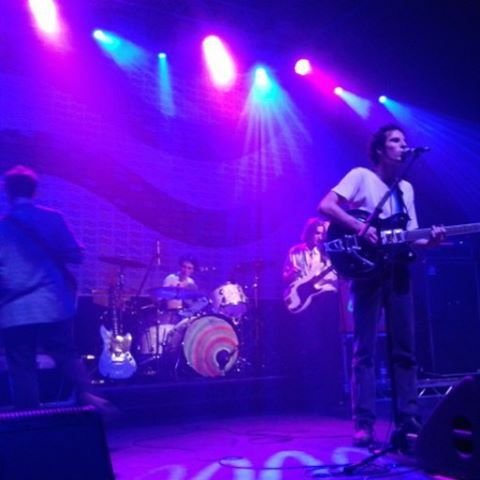 The much-loved Manchester venue, The Ritz played host to travelling Birmingham five-piece Swim Deep last Friday night. A highly anticipated and hyped show which attracted a pretty large crowd. Most of whom were already inside the venue, crowded around The Ritz’s high stage for the first support act of the night, Glaswegian quartet Catholic Action. They played a set of slacker pop songs with a muscular guitar-driven edge. Although their original and distinctive sound was impressive, they failed to engage the crowd. 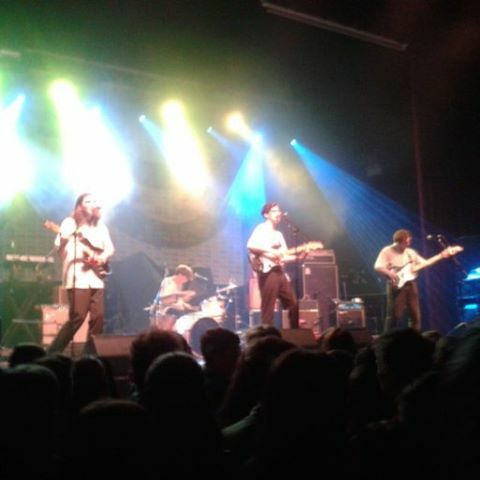 The second support act was the Brighton band The Magic Gang- one with some big fans at NME. Building up a fan base while supporting Wolf Alice, before embarking on another UK-wide tour with Swim Deep, they’ll be ones to watch in 2016. The four-piece caught the Manchester crowd’s attention with a brilliant live set which included singles ‘No Fun’ and ‘Alright’. After what probably seemed like a longer wait than it was in reality, the stage was bathed in a dim green light and Swim Deep walked out to the Jurassic Park theme tune. Opening on a track from their new album ‘Mothers’, their was a lot more singing along than there was when they opened with the surprisingly catchy pop song the last time they played in Manchester, at the Deaf Institute in March. They went onto play a fan favourite from their debut album: ‘Francisco’. After easing the crowd in with the slightly familiar Namaste, they got every fan of Where The Heaven Are We singing their hearts out to this brilliantly uplifting indie pop tune. Next up were two songs from Mothers: ‘Grand Affection’ and the fabulously titled ‘One Great Song And I Could Change The World’. These are two of my favourite songs from the album and probably two of the standout tracks. The crowd seemed to enjoy them, dancing happily even if they didn’t know every line. One Great Song has unexpectedly turned into a great song to hear live, with the booming keys from James bringing the whole venue to life. Swim Deep then, smartly, reverted to Where The Heaven Are We, blasting out ‘Red Lips I Know’. The crowd really got into this one and it created a great atmosphere. They then played three new songs in succession: ‘Is There Anybody Out There’, ‘Imagination’ and ‘Forever Spaceman’. Three songs which aren’t singles and weren’t the most memorable on the Mothers track listing, so I found it a questionable decision from the band not to break these up with at least one song that their fans were more familiar with. Half way through Imagination, and impromptu mosh pit was started in the centre of the crowd which I think was more out of boredom than anything else. The three songs were performed well and did sound good live- it’s just the ordering of the setlist I’m questioning. Anyway, you can’t knock Swim Deep for their next two song choices. Bouncing back with the indie anthems of 2013, ‘Honey’ and ‘King City’, they certainly pleased the crowd. The difference in the crowd’s response to these songs in comparison to the previous three was undeniably much warmer. Then it was ‘Fueiho Boogie’, the acid-house drenched 8 minute long jam sent the crowd into a frenzy. Upon the release of Mothers and first listening to this song, it struck me as a love-or-hate song but every single crowd member seemed to love it. Their energy was infectious all the way through this wonderfully danceable track. 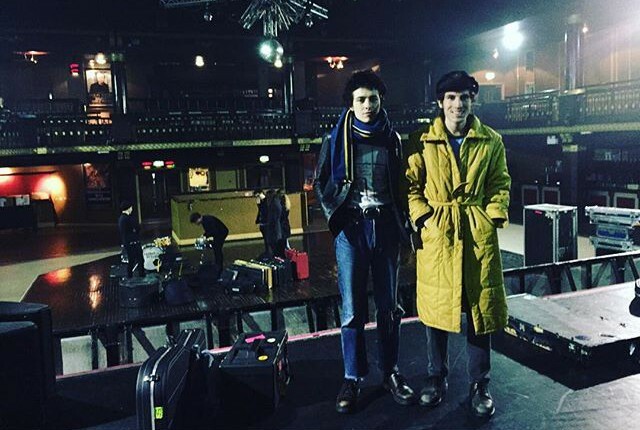 As Swim Deep departed the stage, not one person walked away from the stage. Hoping or expecting an encore, the Manchester faithful started chants of ‘Swim Deep’ and ‘Manchester’. Less than a minute passed before they were walking back out waving. They kicked off the encore with the bonkers new track, ‘Laniakea’, that I wrote about at the end of my review of Mothers. Again, a questionable song choice; especially to open the encore with. However, by this point the crowd didn’t care and were just happy that the band had stuck around for an encore. They then played the opening track of their debut album: ‘Intro’. This prompted a massive sing-along to the minute long track which blended completely seamlessly into beautifully written love song ‘She Changes The Weather’. A fantastic live song with its gently chiming keys and blissfully harmonic vocals. To close the encore and the whole set, Swim Deep hit the crowd with ‘To My Brother’; one of the obvious standout tracks of the new album and an all-round energetic and danceable one. They ended the night in style with this song and it was a fitting finale. Despite my confusion with the setlist, I enjoyed the gig massively and it was a lot of fun to be there. It was the best I’ve heard Swim Deep live, and I was happy that they played a decent amount of songs and played an encore, and a fantastic one at that, for the impressive crowd. They are still touring and tickets are still available but limited. Tour dates at the bottom of this page.